Many people are preparing for summer vacations with their family. 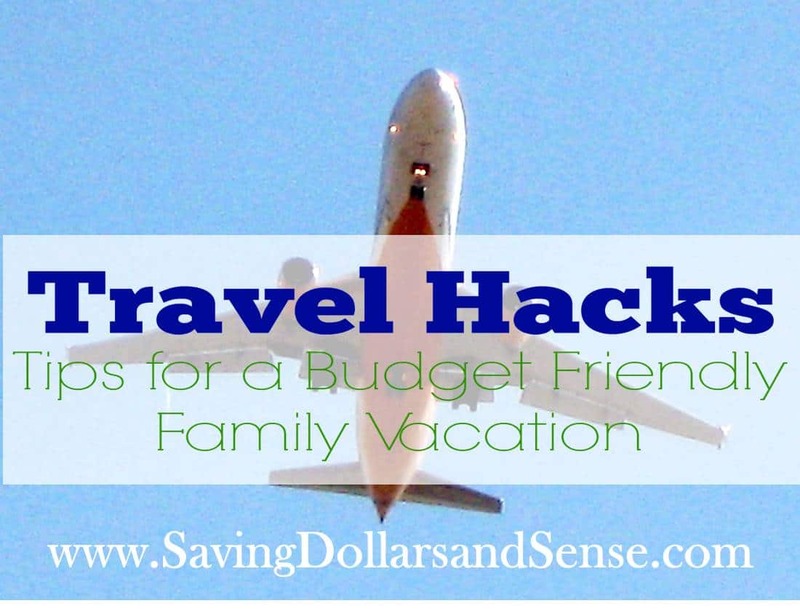 Here are a few travel hacks to save money and help make your family’s vacation budget stretch. One of the most expensive aspects of traveling is hotels, condos, and other accommodations. There are a few ways to save money on where you choose to stay, or at least to get the most value for the money that you spend. VRBO – This is a website that has rentals for locations worldwide that are rented by the owner, it actually stands for Vacation Rental by Owner. Most rentals on this website are handled by a single owner as opposed to a large property management company or a hotel chain. Because of that, the rentals are often much less expensive and you get a more personal experience with where you stay. Hotels.com – If a hotel is the best option for you, try this website where you can search for the best rate in your vacation destination and can even save with discounts from that site. As an added bonus, your tenth night is free on any hotels.com bookings! Vacations to Go – This site is especially great if you are interested in booking a cruise. They get last minute incredible deals on vacations, especially cruiselines, which can start at as little as $300 for an entire week long cruise getaway! You could also consider saving money by vacationing near family or friends that would enjoy a few house guests for a week. Or look into doing housing swaps if you live in an area that other people may like to visit as well. Transportation is the second largest travel expense, or possibly equal or greater than accommodation expenses depending on your mode of transportation. Airfare – Flying to and from your destination can be incredibly pricey! Try discounted travel websites such as Travelocity or CheapTickets to find the least expensive available flights. Most airline and travel websites have a fare calendar option where you can see which dates are least expensive to fly. Also, there are several smaller discounted airlines such as Allegiant and Frontier that fly to various parts of the country at incredibly low prices. Vehicle – Travelocity and other travel sites is also a great way to find discounts on rental cars. Driving can often be the least expensive travel option, but make sure to consider the amount of driving time that will be required and how much of your actual vacation will have to be spent on the road. It may be worth a few extra dollars to fly and not cut into the time you’ll get to enjoy your vacation. Also, download the Gas Buddy app to find the least expensive gasoline while on the road. Luggage – If you are flying, be smart with the way that you pack to try to get all of your items into a carry on bag to avoid checked baggage fees. Try to pack clothing that can be mixed and matched to create more outfits with less items. Consider purchasing toiletries and other consumable items once you arrive at your destination to avoid those things taking up space in your bags. Decide beforehand how many of your meals will be eaten out and how many you can opt for a less expensive meal by preparing them in your condo or hotel. If you are staying in a hotel, look for one that offers both a complimentary breakfast and has a refrigerator and microwave in the room. You could save money by having breakfast taken care of and having items for a sandwich or quick lunch in the room. This way you’ll only have to budget to eat out for dinners and save a significant amount of money. If you are staying in a condo or rental home, take full advantage of having a kitchen! You could even make dinners at your rental home a fun part of the vacation. Plan themed party nights around easy to prepare meals such as a Mexican fiesta with tacos and dancing, or a pizza and game night, etc. Having food on hand that is purchased at a grocery store and can quickly be prepared at your vacation “home” will help you to save money on eating out. You’ll also be able to enjoy a few meals at really nice restaurants when you stretch your budget on meals in this way. Don’t spend a fortune on souvenirs and t-shirts once you arrive to your vacation destination. Purchase items online ahead of time for much cheaper to give to your children once you arrive. Disney toys and clothing can be purchased online for a fraction of what they will cost at the theme parks. T-shirts with logos of the beach you are visiting can also be found online for much less and brought and worn while on vacation. These are a few travel hacks to save on some of the most expensive aspects of traveling. What are some ways you’ve learned to make your vacation budget stretch?